Gina Gershon stars in this Lifetime Original Movie chronicling Donatella Versace's (Gershon) inspiring triumph over tragedy. 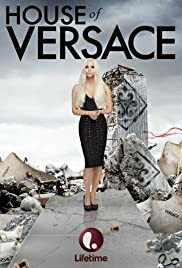 Based on Wall Street Journal reporter Deborah Ball's widely-read book, the movie brings to light the story of Donatella, who, following the brazen murder of her brother, world-renowned designer Gianni Versace. Every Empire has a Fall and Rise.